The optical system employs an internal focusing mechanism. 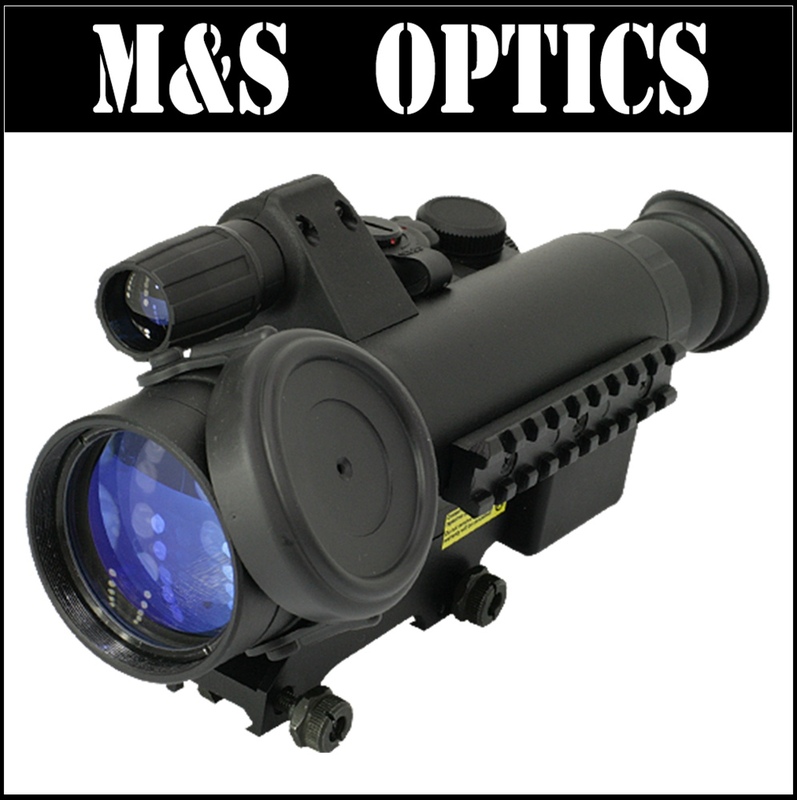 The riflescope can be focused rotating the objective focus ring knob located on the body of the device. ‘Definite’ click-stop focus position is on 100 m – the focus ring knob becomes tighter as it reaches the mark. To focus the riflescope on close range distances the focus ring knob should be rotated counterclockwise, on long ranges – clockwise. The 3 button remote control (two duplicate the “On/Off” function) is helpful for tactical applications and can be mounted on any easy to reach part of the weapon. The third button is intended for an Instant On start-up of the riflescope. This is very convenient when constant observation is not conducted in order to find the appropriate position, take aim and shoot.